Apple Music Subscription is expanding to 82 new regions on February 26. Read to know on how avail flat 50 percent off on Apple Music for up to 48 months. Apple is all set to expand the company's affordable music subscription plan meant to students to more regions later this month. The Cupertino-based technology behemoth confirmed to bring Apple Music to 82 new nations including Israel, Malaysia, the Philippines, Poland, Portugal, and Taiwan on February 26, bringing the total close to 120. With Apple Music Student Subscription, a student at a degree-granting university or college can join Apple Music for a discounted membership price for up to 48 months (4 years). The period does not need to be at one stretch, the company said. For instance in India, students can avail Apple Music for Rs 60 per month, that's Rs 60 less than the standard subscription (Rs 120). The 50 percent discount is same for other regions as well. However, the eligibility will be decided by Apple's co-partner, UNiDAYS, which verifies if the student is enrolled in a university or not. 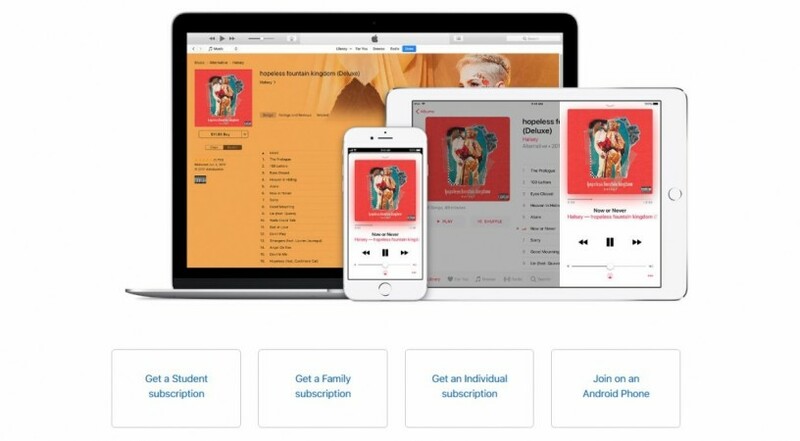 Interested consumers just have to go to Apple Music website and subscribe to Student plan. They will be asked to enter the email ID and their college name on the UNiDays platform. They will be notified of the eligibility within a short time frame. If you insist on other plans, Apple Music offers two options for membership - the individual membership for Rs. 120 per month and the family membership, which allows up to six people to share the service for Rs. 190 per month. Recently, The Walls Street Journal reported Apple Music subscription is growing at 5 percent per month compared arch-rival Spotify (2 percent per month) in the United States. The former is set to overtake the arch-rival at least in America this summer of 2018. However, Apple is far behind Spotify's 70 million plus subscription mark in global markets. Currently, Apple has 36 million subscribers in 115 countries, offering a catalog of 45 million songs. But, things are about to change for Apple Music soon. In December 2017, Apple in a bid to improve the user-experience of its Music service, acquired popular song-recognition app-maker Shazam for $400 million. Now that Apple Student Subscription is expanding to more global markets, the company has the potential to break even with Spotify in near future. Stay tuned. Follow us @IBTimesIN_Tech on Twitter for latest updates on Apple Music.